Ideally located in the old town center, a stone's throw from the cathedral, the Hotel Cerretani is framed by wonderful Renaissance buildings. Squares and old buildings lay testament to the Florentine taste for beauty and elegance, both past and present. 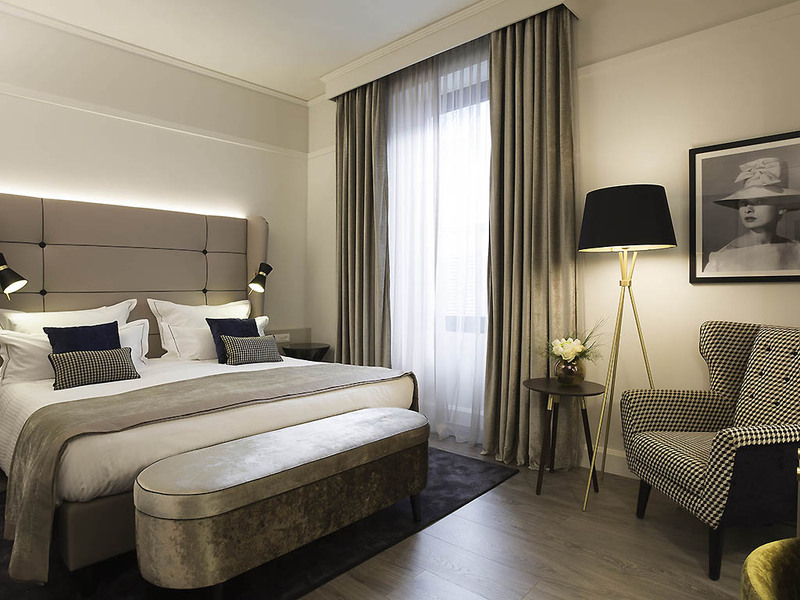 Renovated to provide the utmost in comfort and style, the Hotel Cerretani has chosen to keep the original features. The modern décor in the rooms and the welcoming ambiance of the lounges merge modern luxuries with historical architecture. End this journey through time with a visit to the showroom and store, where you can receive advice on choosing and creating bespoke fabrics and upholstery. 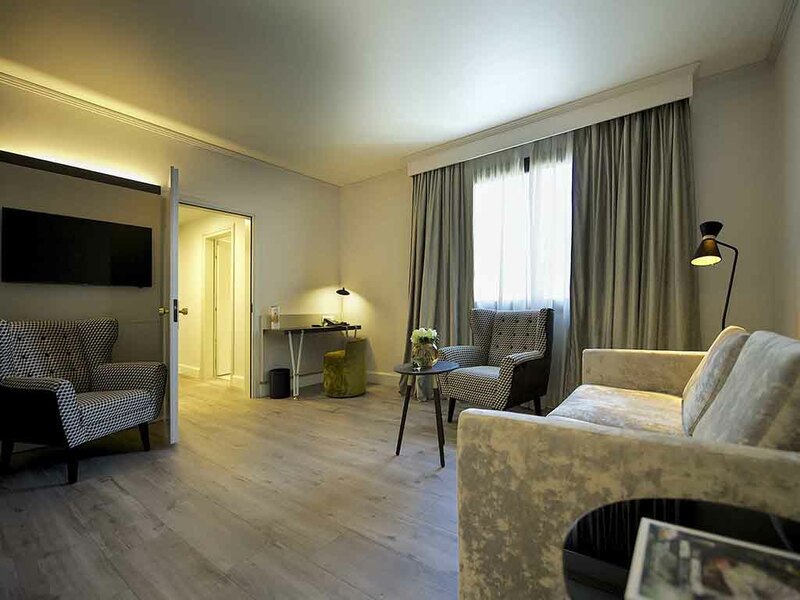 In the heart of Florence, between the Duomo and the Basilica of Santa Maria Novella, is the prestigious Hotel Cerretani, the perfect base to discover the wonders of the city. This 17th-century palace, once the residence of a rich ..
Savory snacks, coffee and flavored water are served in the lobby every afternoon. With friendly service and comfortable sofas, the hotel bar is the ideal place to socialize. 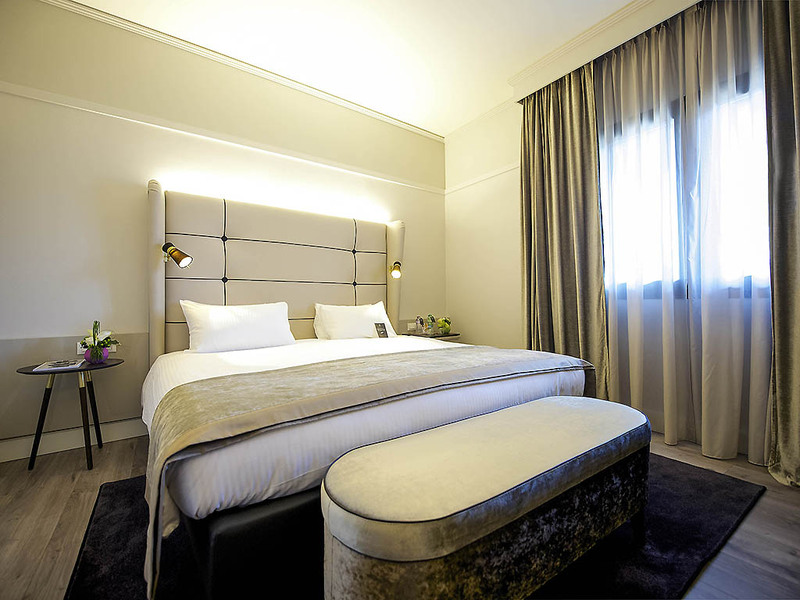 Enjoy an upscale stay in our sumptuous soundproofed rooms. The Antico Setificio Fiorentino, one of the last remaining silk mills, opens its doors to you in the heart of Florence to offer you an unforgettable experience. During a private visit, amid manual and semi-mechanical looms that weave exquisite silk, you will discover the precious original loom designed by Leonardo Da Vinci. From the A1 highway: take the Firenze Nord exit and follow signs for Centro Città and Viali. Continue along Viale Lavagnini, turn right at the lights onto Via S. Caterina d'Alessandria, continue on Via Nazionale as far as the train station. Join the roundabout and exit at Piazza Unità Italiana. Take Via Melarancio, turn right onto Via del Giglio, then turn left immediately onto Via Alloro, then right onto Via de' Conti and right again onto Via Cerretani. The hotel is 55 yds (50 m) away on the right. 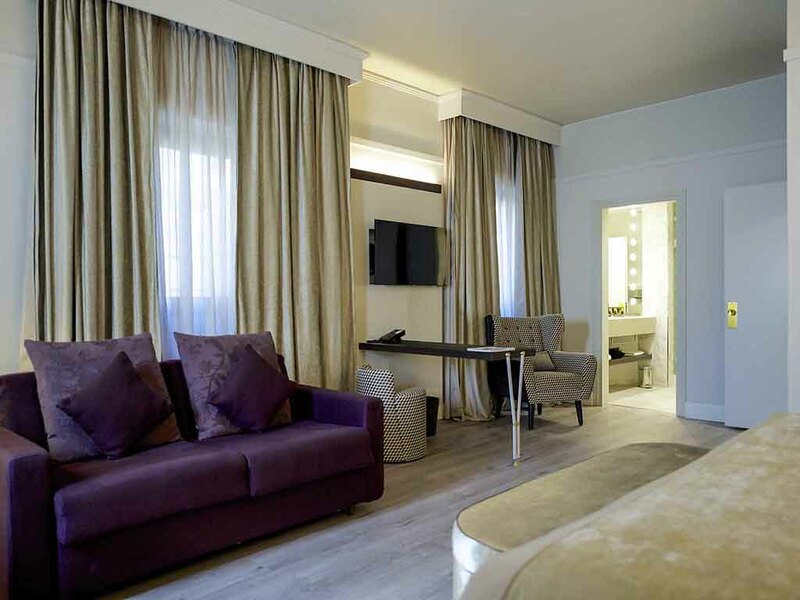 Choose from 86 elegant rooms, including 1 suite, in this luxurious hotel in the center of Florence. 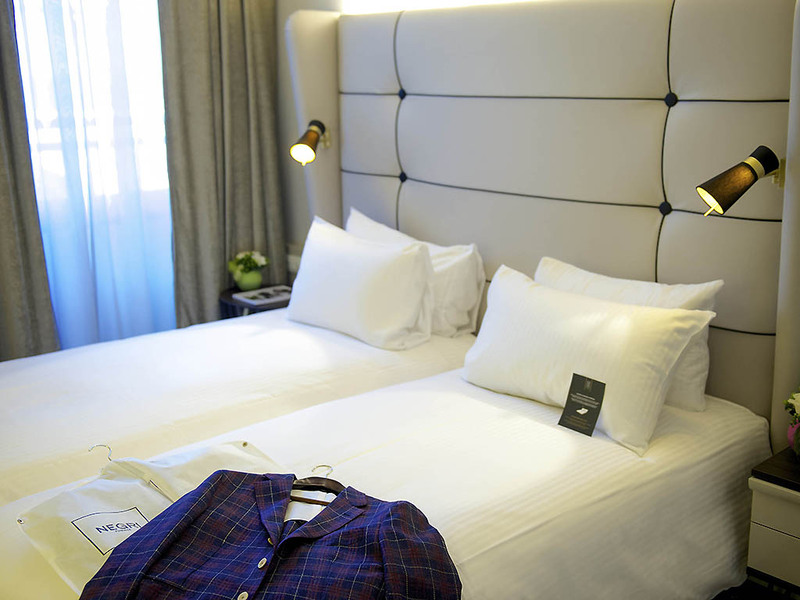 Marble bathrooms, refined welcome gifts, minibars and room service create an inviting atmosphere in our luxurious accommodation. 269 sq. ft. (25 m2), last renovated: February 2016. Free WIFI, 32/40" TV, minibar, bathroom with shower or bathtub. Complimentary Roberto Cavalli toiletries. 571 sq. ft. (53 m²), complimentary WIFI, 48-inch TV, minibar. Bathroom with bathtub and complimentary Roberto Cavalli toiletries. Rollaway bed on request. The Michelangelo wine bar is the perfect place to relax in charming and elegant surroundings, where all of the flavors of Tuscany are accompanied by a selection of regional wines in an intimate environment and exclusive atmosphere. Our hotel, which offers fully equipped meeting rooms for up to 12 people, is the perfect place to hold your meeting. Receive a personalized service in our signature room. Discover the ideal downtown Florence meeting facilities for intimate groups. The romance of Florence and the Hotel Cerretani are the ideal setting for your honeymoon. We reserve exclusive treatment for newlyweds. Start your new life together surrounded by the elegance of times gone by and modern beauty. Explore Florence and its attractions with ease. Whether for business or pleasure, travel around the city with our expert drivers and luxury vehicles. For more information about the limousine service, contact the booking office.